Thursday 16th October in the year of 2014, saw a revolutionary release by Apple…..The announcement and release of the brand new 27inch Apple iMac with Retina 5K display. Boasting a resolution of 5120×2880 (going over and above 4K at 3840×2160) and IPS technology, the display on the iMac with Retina 5K display is absolutely stunning, especially when displaying high-resolution photos and video. So, the question being asked is… is this the BEST machine on the market at the moment ? Starting with the most obvious and the most focal attraction of the new Apple iMac with 5K Retina display…. the display. Apple have completely bypassed 4K (3840 x 2160) and gone straight to a huge 5K resolution, measuring 5120 x 2880. That is 14.7 million pixels, 218 per inch. To put this in real terms, the Apple iMac 6K with retina display has seven times as many pixels as your Full HD 1080p television. 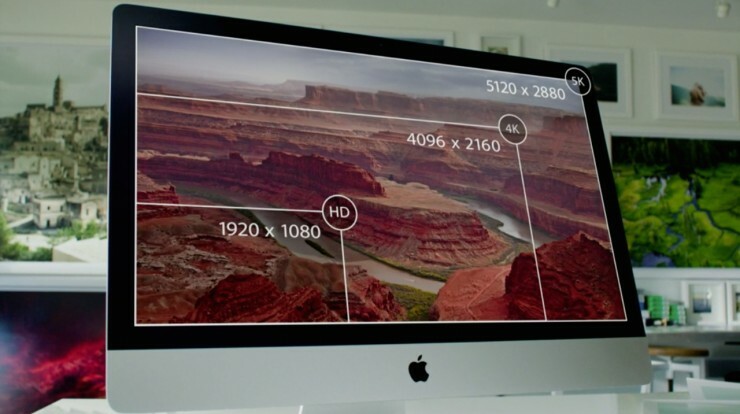 In a nutshell, the display on the brand new iMac with 5K Retina is like no other, and nothing ever before. It is beautifully astounding. As for the actual specification of the iMac, it runs on a Quad Core i5 3.5Ghz processor as standard, which is also upgradeable to a Quad Core i7 4.0GHz. Also, the iMac comes with a 1TB FUSION drive as standard which is a technology introduced by Apple in 2012 which combines a 1TB SATA hard drive and 128GB Flash drive. Thu FUSION drive is normally a £160 upgrade on the standard Apple iMac. As for the graphics in the iMac, it uses the latest AMD Radeon R9 M290X 2GB with up to 3.5 teraflops of power. Comparing the M290X to an Nvidia GeForce GTX780M(on the i7-3.5GHz) , the M290X has a higher clock speed, higher turbo clock speed and a higher pixel rate. Creative professionals have previously been taking the i7-3.5GHz but this new 5k/ i7-4Ghz is just £2.80 extra for loads more features. with all the The Apple iMac with 5K retina display is available on the unique Flexi-Lease offered by HardSoft and starts at just £17.30 + VAT per week for the i5 3.5Ghz model (the same cost as the i7 2.5GHz 15inch Retina Display MacBook Pro). However, by far the more popular of the two iMac CPU options is the i7 4.0GHz at £19.00 + VAT per week, it gives you a great deal more processing power for an extra £1.80 per week over the i5. Leasing with HardSoft is flexible and includes the option to Renew after two years so you can always have the latest IT. All HardSoft Flexi-Leases include a 3 year hardware warranty including parts an labour as well as telephone technical support Monday-Friday. 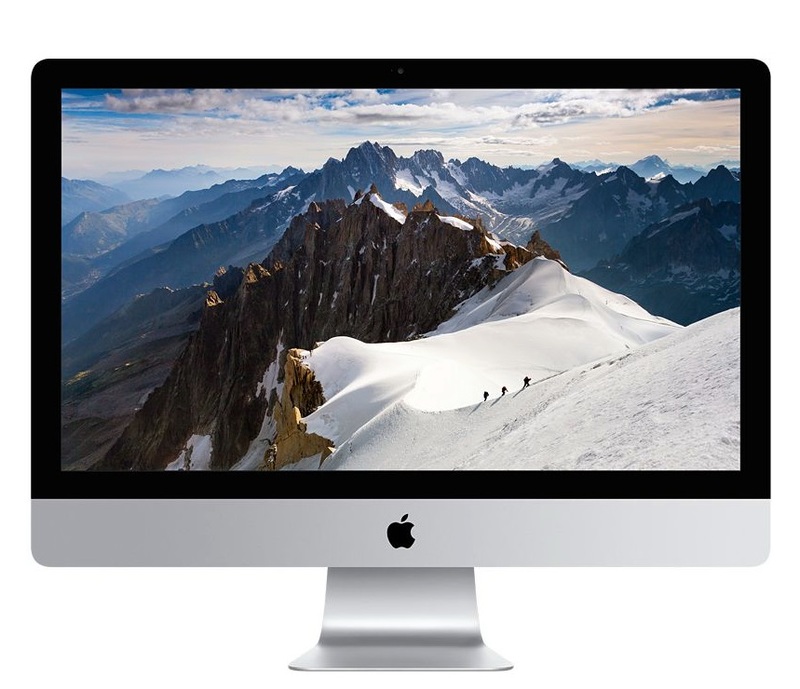 The iMac with 5K Retina display also includes next day loan Mac as standard should yours need to go away for repair. The last thing that should be spoken about is, of course, the brand new OS X Yosemite. Released in tandem with the iMac with 5K Retina display, you wonder whether it works better on the new iMac than any other machine. The most obvious change with Yosemite is the visual change. Yosemite offers to Mac what iOS7 offered to iPad and iPhone devices. The interface is a great deal flatter, but not boring. Also, some of the application icons have changed to resemble their iOS counterparts, making the new OS look a lot cleaner. As for the dock… the shelf has completely gone with the docking going back to its original rectangle type format. However, by far the most interesting thing about OS X Yosemite is the introduction of Dark Mode. This simply turns aspects of the OS X a darker shade of grey, making it more comfortable using your Mac in low light. Overall, the brand new Apple iMac with 5K Retina display, is an absolutely astonishing product and one that is the first of its kind. HardSoft have the i5 version available from stock and the i7 shipping first week of November in most configurations. For more information on the Flexi-Lease on the new iMac Retina , please contact our Sales team today on 020 7111 1643 or email sales@hardsoft.co.uk.